The Michigan Math and Science Academy board of education recognizes that a school that is physically and emotionally safe and secure for all students promotes good citizenship, increases student attendance and engagement, and supports academic achievement. To protect the rights of all students and groups for a safe and secure learning environment, the board of education prohibits acts of bullying, harassment, and other forms of aggression and violence. Bullying or harassment, like other forms of aggressive and violent behaviors, interferes with both a school’s ability to educate its students and a student’s ability to learn. All administrators, faculty, staff, parents, volunteers, and students are expected to refuse to tolerate bullying and harassment and to demonstrate behavior that is respectful and civil. It is especially important for adults to model these behaviors (even when disciplining) in order to provide positive examples for student behavior. “Bullying” or “harassment” is any gesture or written, verbal, graphic, or physical act (including electronically transmitted acts – i.e., cyberbullying, through the use of internet, cell phone, personal digital assistant (pda), computer, or wireless handheld device, currently in use or later developed and used by students) that is reasonably perceived as being dehumanizing, intimidating, hostile, humiliating, threatening, or otherwise likely to evoke fear of physical harm or emotional distress and may be motivated either by bias or prejudice based upon any actual or perceived characteristic, such as race, color, religion, ancestry, national origin, gender, sexual orientation, gender identity or expression; or a mental, physical, or sensory disability or impairment; or by any other distinguishing characteristic, or is based upon association with another person who has or is perceived to have any distinguishing characteristic. Bullying and harassment also include forms of retaliation against individuals who report or cooperate in an investigation under this policy. Such behaviors are considered to be bullying or harassment whether they take place on school grounds, in the school building, while using school technology, or while at a school sponsored event off school property. is based on a pupil’s actual or perceived distinguishing characteristic (see above), or is based on an association with another person who has or is perceived to have any of these characteristics. The scope of this policy includes the prohibition of every form of bullying, harassment, and cyberbullying/harassment, whether in the classroom, on school premises, or at a school-sponsored event, whether or not held on school premises. Bullying or harassment, including cyberbullying/ harassment, that is not initiated at a location defined above is covered by this policy if the incident results in a potentially material or substantial disruption of the school learning environment for one or more students and/or the orderly day-to-day operations of any school or school program. The Michigan Math and Science Academy board of education expects students to conduct themselves in a manner in keeping with their levels of development, maturity, and demonstrated capabilities with a proper regard for the rights and welfare of other students, school staff, volunteers, and contractors. The Michigan Math and Science Academy board of education believes that a comprehensive health education curriculum, within a coordinated school health framework, helps students attain knowledge and skills vital to school success, a productive workforce and good citizenship. Critical skills include anticipating consequences of choices, making informed decisions, communicating effectively, resolving conflicts, and developing cultural competency. The Michigan Math and Science Academy board of education recognizes that in order to have the maximum impact, it is critical to provide a minimum of annual training for school employees and volunteers who have significant contact with pupils on school policies and procedures regarding bullying and harassment. Training will provide school employees with a clear understanding of their roles and responsibilities and the necessary skills to fulfill them. 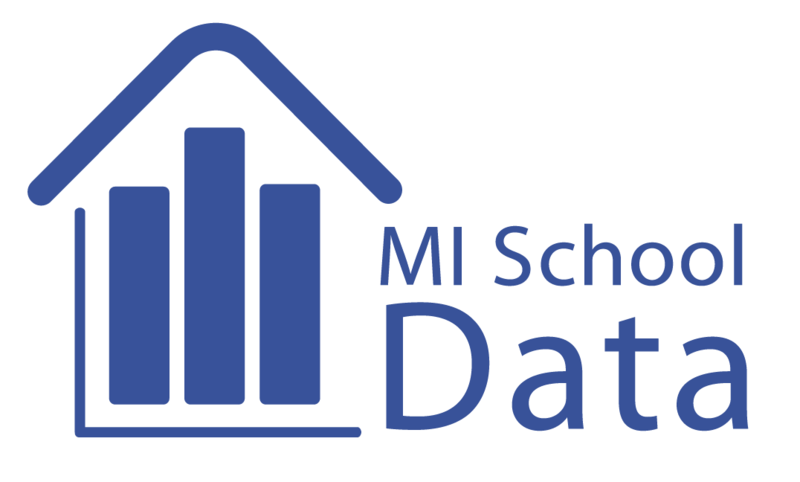 The Michigan Math and Science Academy board of education believes that standards for student behavior must be set through interaction among the students, parents and guardians, staff, and community members of the school district, producing an atmosphere that encourages students to grow in self-discipline and their ability to respect the rights of others. The development of this atmosphere requires respect for self and others, as well as for district and community property on the part of students, staff, parents, and community members. 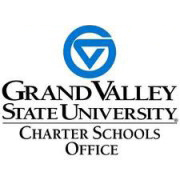 The Michigan Math and Science Academy board of education believes that the best discipline for aggressive behavior is designed to (1) support students in taking responsibility for their actions, (2) develop empathy, and (3) teach alternative ways to achieve the goals and the solve problems that motivated the aggressive behavior. Staff members who interact with students shall apply best practices designed to prevent discipline problems and encourage students’ abilities to develop self-discipline and make better choices in the future. Since bystander support of bullying and harassment can encourage these behaviors, the district prohibits both active and passive support for acts of harassment or bullying. The staff should encourage students not to be part of the problem; not to pass on the rumor or derogatory message; to walk away from these acts when they see them; to constructively attempt to stop them; to report them to the designated authority; and to reach out in friendship to the target. Periodic classroom meetings should be conducted to teach bystanders how and when to respond to bullying and harassment incidents. Informal classroom discussions and activities designed to provide awareness and increase student connectedness promote a positive shift in peer norms that will support empowered bystanders. When bystanders do report or cooperate in an investigation, they must be protected from retaliation with the same type of procedures used to respond to bullying and harassment. The Michigan Math and Science Academy board of education requires its school administrators to develop and implement procedures that ensure both the appropriate consequences and remedial responses to a student or staff member who commits one or more acts of bullying and harassment. The following factors, at a minimum, shall be given full consideration by school administrators in the development of the procedures for determining appropriate consequences and remedial measures for each act of harassment or bullying. Note: In order to ensure students’ perception of fair and impartial treatment, a student’s academic or athletic status is not a legitimate factor for determining consequences. Consequences must be perceived as fair and impartial. Consequences and appropriate remedial actions for a student or staff member who engages in one or more acts of bullying or harassment may range from positive behavioral interventions up to and including suspension or expulsion, in the case of a student, or suspension or termination in the case of an employee, as set forth in the board of education’s approved code of student conduct or employee handbook. School employees will also be held accountable for bullying or harassing behavior directed toward school employees, volunteers, parents, or students. The Michigan Math and Science Academy board of education requires the principal and/or the principal’s designee at each school to be responsible for receiving complaints alleging violations of this policy. All school employees are required to report alleged violations of this policy to the principal or the principal’s designee. All other members of the school community, including students, parents, volunteers, and visitors, are encouraged to report any act that may be a violation of this policy. Reports may be made anonymously, but formal disciplinary action may not be based solely on the basis of an anonymous report. The Michigan Math and Science Academy board of education requires the principal and/or the principal’s designee to be responsible for determining whether an alleged act constitutes a violation of this policy. In so doing, the principal and/or the principal’s designee shall conduct a prompt, thorough, and complete investigation of each alleged incident. The investigation is to be completed within three school days after a report or complaint is made. The parents of the students involved shall receive written notice from the school on the outcome of the investigation (in compliance with current privacy laws and regulations). All reports on instances of bullying and/or harassment must be recorded by the school for annual data review. The Michigan Math and Science Academy board of education prohibits reprisal or retaliation against any person who reports an act of bullying or harassment or cooperates in an investigation. The consequences and appropriate remedial action for a person who engages in reprisal or retaliation shall be determined by the administrator after consideration of the nature, severity, and circumstances of the act. The Michigan Math and Science Academy board of education prohibits any person from falsely accusing another as a means of bullying or harassment. The consequences and appropriate remedial action for a person found to have falsely accused another as a means of bullying or harassment may range from positive behavioral interventions up to and including suspension or expulsion. Consequences and appropriate remedial action for a school employee found to have falsely accused another as a means of bullying or harassment shall be in accordance with district policies, procedures, and agreements. The Michigan Math and Science Academy board of education requires school officials to annually disseminate the policy to all school staff, students, and parents, along with a statement explaining that it applies to all applicable acts of harassment and bullying that occur on school property, at school-sponsored functions, or on a school bus. The chief school administrator shall develop an annual process for discussing the school district policy on harassment and bullying with students and staff. The school district shall incorporate information regarding the policy against harassment or bullying into each school employee training program and handbook.